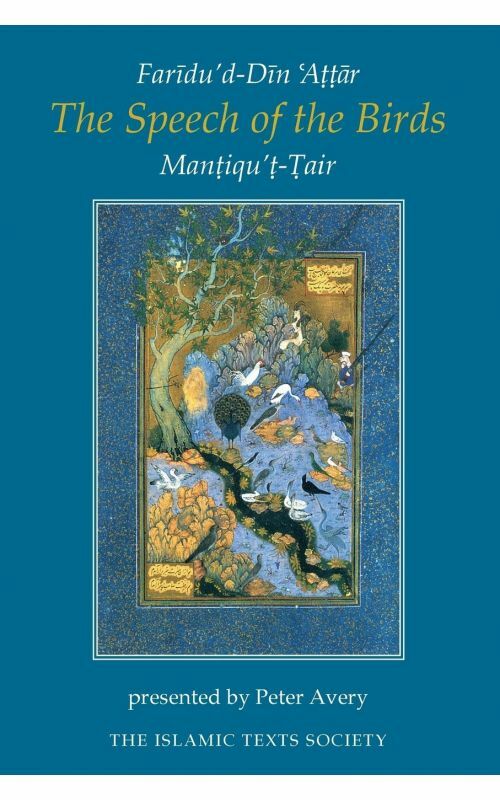 Mantiqu’t-Tair is one of the masterpieces of Persian literature of which a complete and annotated translation into English is here presented for the first time as The Speech of the Birds. 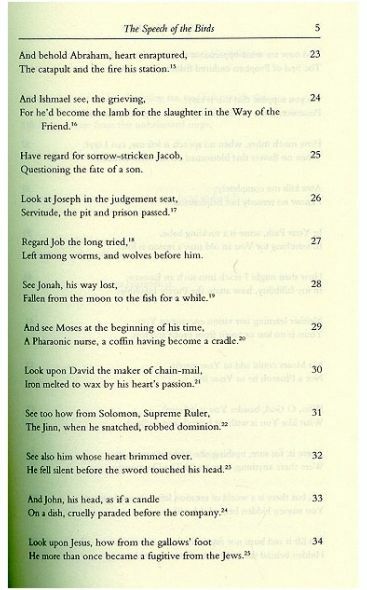 The text revolves around the decision of the birds of the world to seek out a king. Their debilitating doubts and fears, the knowing counsel of their leader Hoopoe, and their choice of the Simurgh as a king, is in reality an allegory of the spiritual path of Sufism with its demands, its hazards and its infinite rewards. 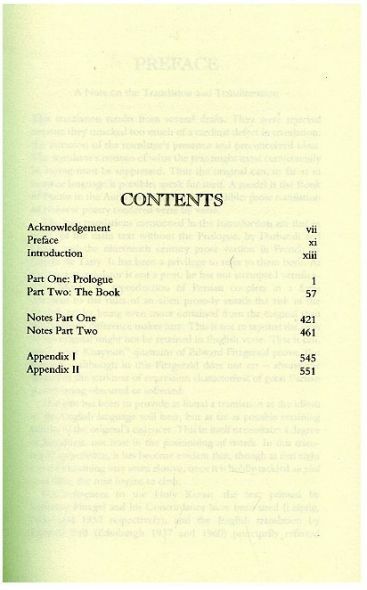 The poem contains many admonitory anecdotes and exemplary stories, including numerous references to some of the early Muslim mystics such as Rabi’a al-’Adawiyya, Abu Sa’id ibn Abi’l-Khair, Mansur al-Hallaj and Shibli, among others. In The Speech of the Birds, Peter Avery has not only given us a precise and moving translation, but also ample annotation providing much information to fill in what Attar would have expected his readers to know. 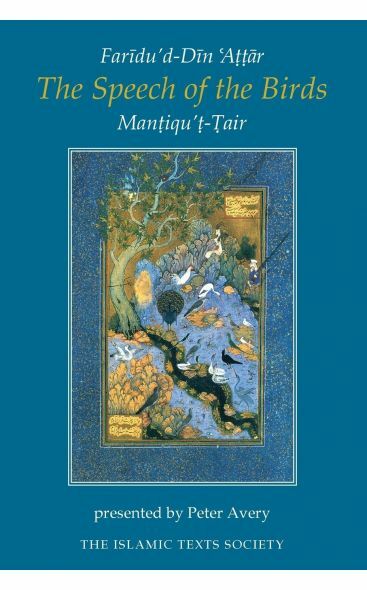 The result is a fascinating insight into a remarkable aspect of Islam: the world of ecstatic love of the Persian mystics.The Speech of the Birdswill be of interest to everyone who values great literature, as well as to all students of Persian and Sufism. - Times Higher Education Supplement. Faridi-ul-Din Attar (or Faridudin) was born in Nishapur, in the Iranian province of Khorasan and died in the same city. He has often being referred as Farid-ul-Din of Nishapur. The word 'Attar' (perfumist) derives from Arabic/Persian word 'Itur/Atur' meaning perfume. 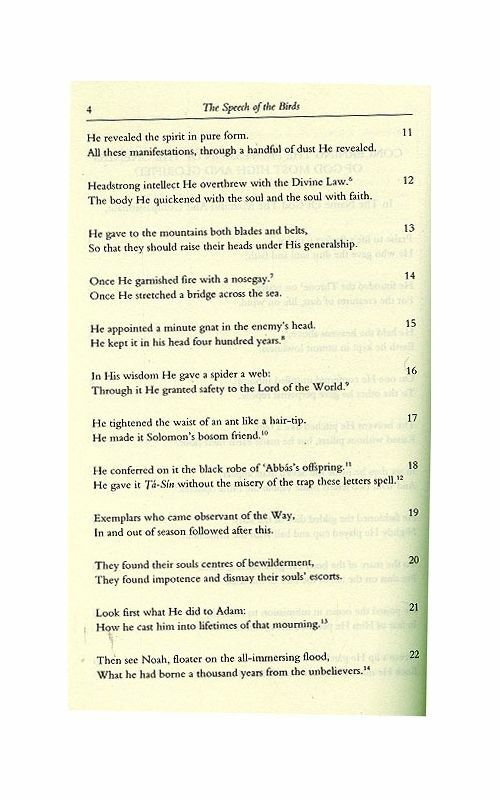 Attar therefore refers to profession of Farid-ul-Din which eventually became more of his pseudonym. Farid-ul-Din left his profession to travel for the ultimate question of discovering oneself. It is being reported that he was at his shop when he encountered a sufi saint at his shop. The event influenced his life so much that he abandoned his perfume sgop and went on a spiritual pilgrimage to Kufa, Mecca, Damascus, Turkistan, and India, meeting with Sufi sheikhs - and returned to Nishapur promoting Sufism. Ilahi nama and Manteq al-Tayr are his greatest works. 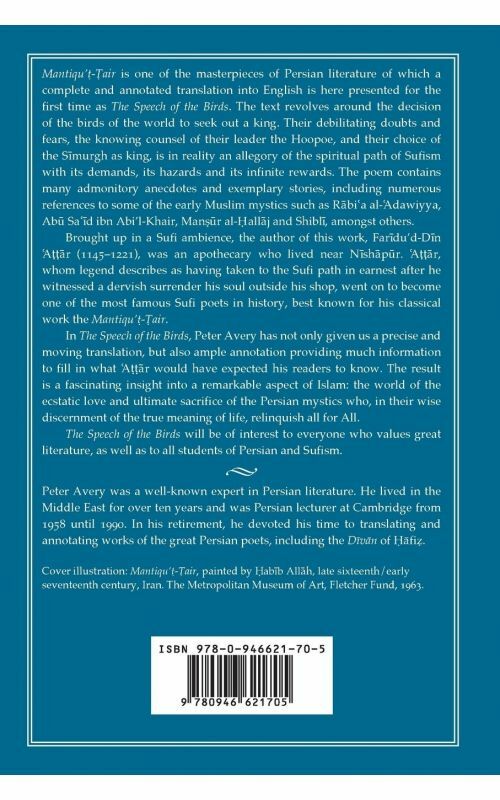 Peter Avery OBE (May 15, 1923 – October 6, 2008) was an eminent British scholar of Persian and a Fellow of King's College, Cambridge. Avery contributed to English language work on Persian history and literature, such as The Age of Expansion and Medieval Persia and published Modern Iran. 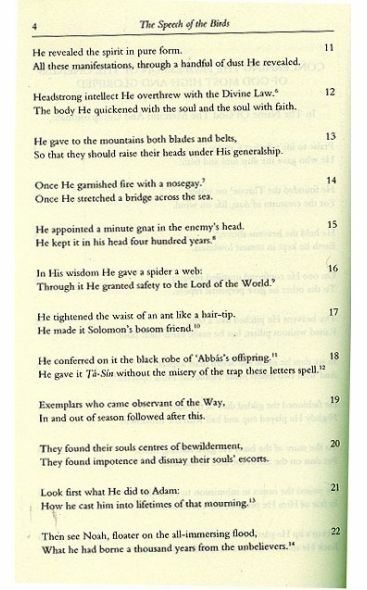 One of Avery's best known works is a translation (with poet John Heath-Stubbs) of the Persian text of Rubaiyat of Omar Khayyam, first published in 1979. 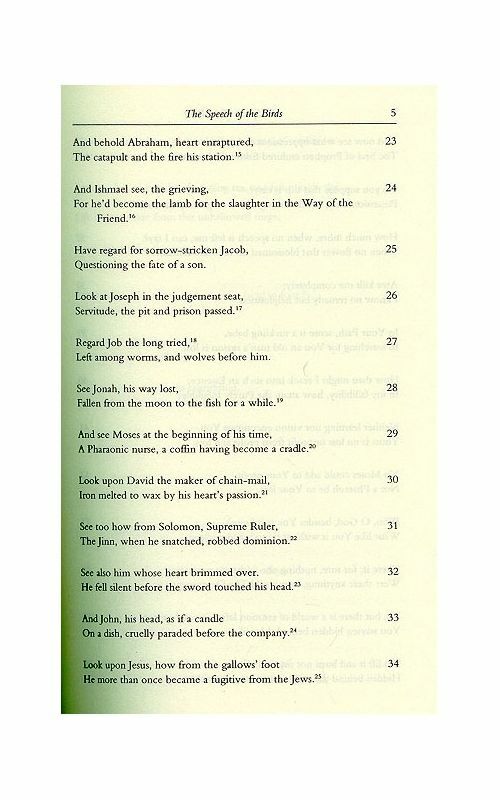 Also with John Heath-Stubbs, Avery published "Thirty Poems of Hafiz of Shiraz", reprinted in 2006. 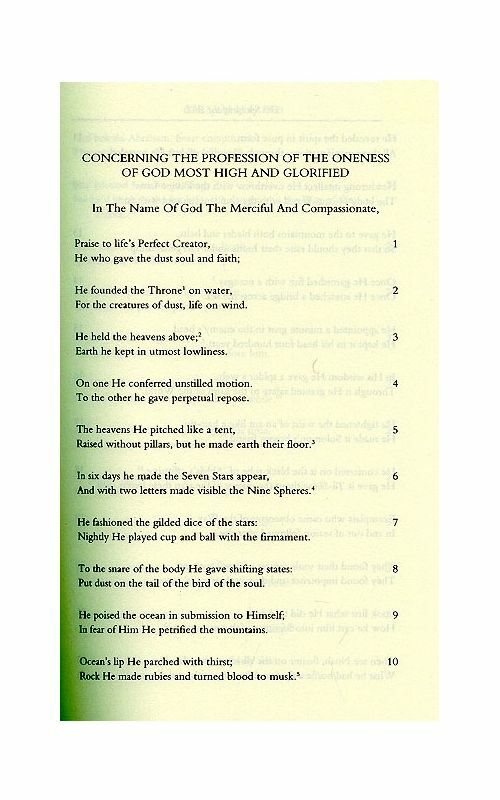 His final work, and the culmination of his career, was a translation of the complete lyrics of Hafiz, The Collected Lyrics of Hafiz of Shiraz, published in 2007, which was awarded the Farabi prize and is currently the only contemporary complete translation in English. 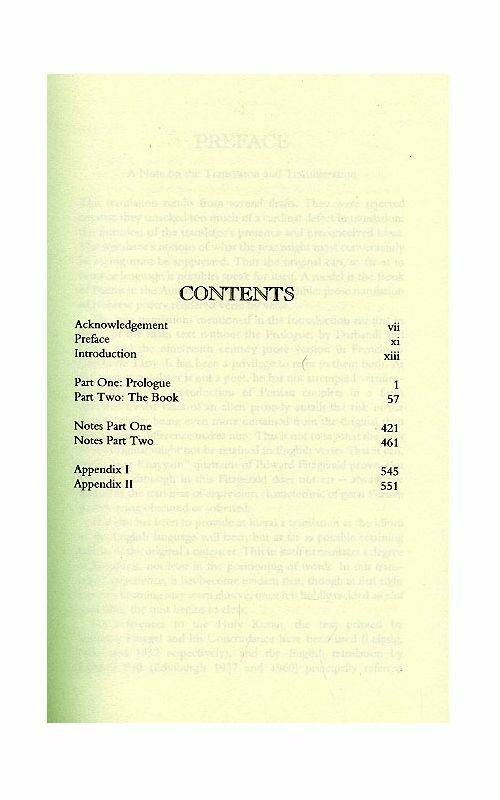 His translations are published with copious notes explaining allusions in the text and filling in what the poets would have expected their readers to know. Avery was born in Derby and educated at Rock Ferry High School, Birkenhead and Liverpool University. War Service in the Royal Navy interrupted his studies, which he resumed after the war at the London School of Oriental and African Studies, graduating in 1949. He learned Arabic and Persian and knowledge of these led to his appointment as chief language training officer with the Anglo-Iranian Oil Company in Abadan, South-West Iran. In 1951 the government of Iran nationalised the oil industry and Avery moved to Baghdad, where he taught English. 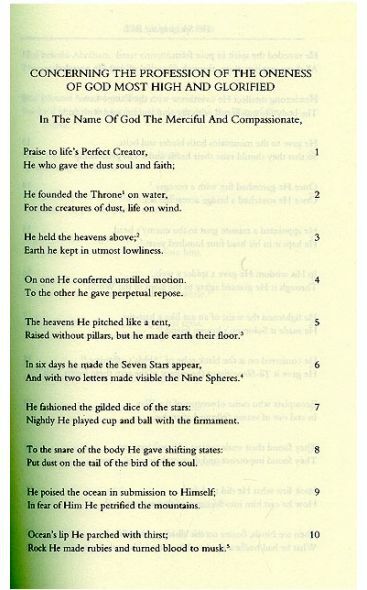 In 1952, he published, with John Heath-Stubbs his first translations of Hafiz. In 1958 he was appointed Lecturer in Persian Language Literature and History at Cambridge University, becoming a Fellow of King's College in 1964. He retired from the Lectureship in 1990, but continued researching and writing as a Fellow of King's, and continued to lead an informal reading group in Persian poetry, despite ill health, until his last months.